Go back to your “Menus” section and scroll to the “Custom Links” section on the middle left. Change the “URL” to “#”, and add a name for the label. 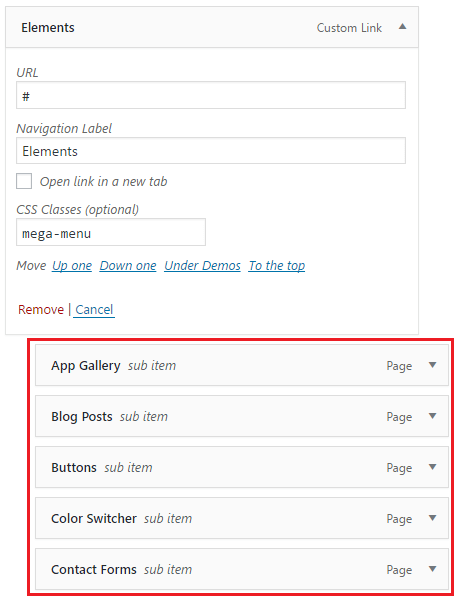 Click on “Add to Menu”, and your custom menu item will appear on your main menu list. 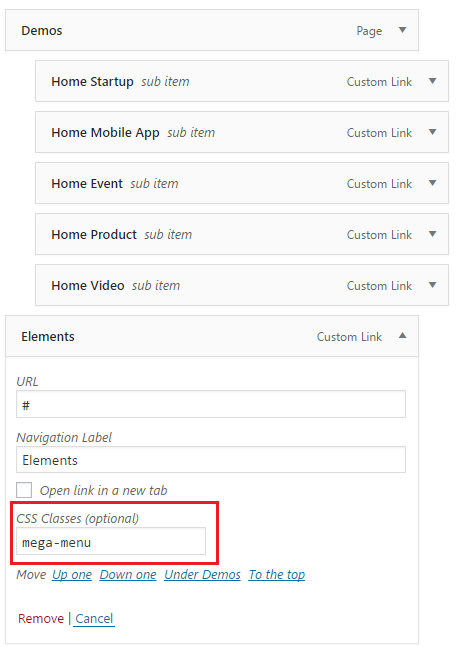 Click on the drop-down arrow of the menu item icon, and when the screen opens up, find “CSS Classes” and type mega-menu – see screenshot below. 3. Add child menu items to your mega menu item.